John Lennon's second solo album was his greatest commercial success. On it he tempered some of the more abrasive and confrontational elements of its predecessor, John Lennon/Plastic Ono Band, offering instead a more conventional pop collection that contains some of his best-loved songs. 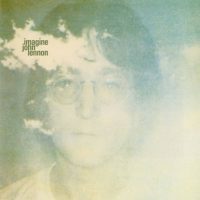 The album Imagine was after Plastic Ono. I call it Plastic Ono with chocolate coating. While the soul-baring John Lennon/Plastic Ono Band had been acclaimed as a significant artistic work, its subject matters proved unpalatable for many listeners. After its release Lennon had dabbled with left-wing political issues on the Power To The People and God Save Oz singles, before contemplating a return to conventional pop music. Imagine begins with the title track, John Lennon's most famous song. One of his most idealistic moments, Imagine suggested a world without religion, nation or possessions, asking instead that people see themselves as agents for change without traditional dogma or ideology. If Imagine was an attempt to reach beyond the political norms, Crippled Inside, Jealous Guy, It's So Hard and How? returned to the personal introspection of John Lennon/Plastic Ono Band. Lennon's demons clearly hadn't been vanquished, but he had learnt to temper them and couch them in more palatable form. Gimme Some Truth saw a return for Citizen Lennon, marking the next step in a transition towards political polemics that would reach a peak on 1972's Some Time In New York City. It was a journey he had begun with 1968's Revolution, but began to focus on properly from Power To The People, released six months prior to Imagine. Gimme Some Truth remains one of Lennon's most powerful musical statements, launching a full-blooded attach on the hypocrisy of authority figures, and still able to pack a considerable punch decades after its release. Oh My Love and Oh Yoko! were love songs for Lennon's wife, the first of which was written at the beginning of their relationship in 1968 and was co-credited to Ono. And then there was How Do You Sleep?, the most notorious of Imagine's songs. An undisguised attack on Paul McCartney, it was as far from living life in peace that it was possible to Imagine Lennon. The song was written in response to various coded messages Lennon claimed were on Paul and Linda McCartney's 1971 album Ram, particularly in the songs Too Many People, Dear Boy, Three Legs and The Back Seat Of My Car. I heard Paul's messages in Ram – yes there are dear reader! Too many people going where? Missed our lucky what? What was our first mistake? Can't be wrong? Huh! I mean Yoko, me, and other friends can't all be hearing things. So to have some fun, I must thank Allen Klein publicly for the line 'just another day'. A real poet! Some people don't see the funny side of it. Too bad. What am I supposed to do, make you laugh? It's what you might call an 'angry letter', sung – get it? Although McCartney later claimed the messages had been confined to Too Many People, the damage had been done. Lennon launched a full-scale broadside at his former songwriting partner, accusing him of being surrounded by sycophantic 'straights', having achieved nothing more than writing Yesterday, and trashing his recent works as "muzak to my ears". As a final blow, he suggested those believers of the 'Paul is dead' myth were actually right. Early pressings of Imagine included a postcard showing Lennon holding the ears of a pig, a clear parody of McCartney's pose on the cover of Ram. The pair eventually settled their differences, although their friendship never recovered the closeness it once had. Well, it was like Dylan doing Like A Rolling Stone, one of his nasty songs. It's using somebody as an object to create something. I wasn't really feeling that vicious at the time, but I was using my resentment towards Paul to create a song. Let's put it that way. It was just a mood. Paul took it the way he did because it obviously, pointedly refers to him, and people just hounded him about it, asking, 'How do ya feel about it?' But there were a few little digs on his albums, which he kept but I heard them. So I just thought, Well, hang up being obscure! I'll just get right down to the nitty-gritty. I still have my quad Imagine. I’m trying to track down definite imagine sessions dates, I’ve seen recordings in June which I take as truth, you state 5 days in May, is this new information? did he then wait 6 weeks before overdubbing horns in New York? Imagine is one of the great albums. Whilst its predecessor John Lennon and The Plastic Ono Band is his best album,this is the next best and a classic in its own right.Obviously the title track is a timeless beautiful song. Jealous Guy is a heartfelt gem and I also love Bryan Ferrys brilliant interpretation of it that came out in1981 after Lennons death. This is an album of contrasting moods in true John Lennon style. Going from the regret of Jealous Guy to the equally brilliant How Do You Sleep? with Lennon attacking his former partner Paul McCartney; but as history tells us they both got through this stage. George Harrisons guitar work on this adds to the assault. Gimme Some Truth, How?,Crippled Inside and Its So Hard are other favorites. I got my first copy of the ” Imagine” album for Christmas 1981.It is of course a classic. Last week I obtained a 2011 digitally remastered copy of this, as part of a beautifully packaged box set.This great album sounds even better. The first vinyl is the original album and the second is the ” Imagine Sessions “, taken from the ” John Lennon Anthology” series, that I have on CD. John Lennon’s great vocals backed up by a stellar grouping, including George Harrison, Jim Keltner, Klaus Voorman,Alan White, Nicky Hopkins and others. It is as if they are playing in your’e living room!! The second album is coloured white and includes great alternative versions. On this ” Jealous Guy ” is a particular favourite and ” Baby, Please Don’t Go ” is a great rock/ blues number. Included in this package is a poster and the two original postcards. To all John Lennon fans I recommend this set. The interesting thing about ” Baby, Please Don’t Go” that I forgot to mention last month. Is that on the live second album in the ” Sometime In New York City ” set, John Lennon mentions before playing this that The Beatles used to play this at the Cavern Club. In fact that live version, ( just mentioned ), is brilliant.